I was thinking about this blog and it reminded me of an article I had read a few months ago, this one actually, about children’s privacy online (which by the way, if you haven’t seen ‘BatDad’, it is pretty funny). Before Natalie was even born I started thinking about how I would handle sharing her life and of course, my new life with her in it. 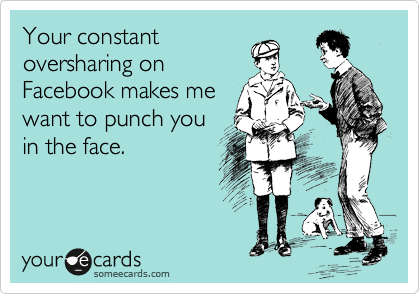 At one point I had accounts on all the social media platforms and I shared quite often, about quite a lot. 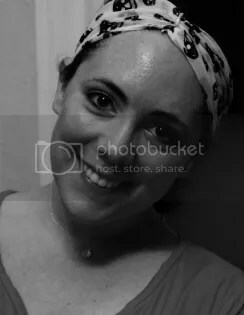 Early on in my pregnancy, my dads health took a turn for the worse (he passed away in 2012 from Pancreatic Cancer) I started revaluating things and social media and my privacy was one of them. I deleted accounts, stopped posting so much and really thought about what I would share and what I wouldn’t. I felt this intense need to make my life my own again. Anyone and everyone didn’t need to know about every mundane detail of my life (and I’m sure my Facebook friends were collectively sighing with relief). Now that my daughter is here, the need to keep her privacy safe is even stronger. Sometimes it’s hard because I see all these adorable photos from Instagram and read these beautiful blog posts littered with smiling children and I think maybe I’m being to uptight about it…maybe sharing our new life so fully isn’t such a bad thing? But the reality is that there is a dark, gloomy side to the internet and not everyone is “good”. The other reality is that she is going to be old enough some day to begin her own presence online and that’s her story to tell. I don’t ever want her to look back on what I said or photos I shared and feel embarrassed or ashamed (i.e. mothers who post potty training photos…I will never understand that). When the time comes, her father and I will guide her and provide her with the knowledge to share safely the best we can but while she’s still so young, that lesson starts with me. My Facebook account is private, under a made up last name, and my “friends” list paired down so we do share a photo here and there. I said out loud once that I was thinking about taking it down and I almost had a mutiny on my hands by my family who looks forward to those pictures. So I still use it. I don’t have an Instagram account anymore and it’s still up in the air whether I’ll start one again to go with this blog. And Twitter is just too fast paced for me to keep up with. All of this brings me back to this blog and what I will share here. I am a mom who works full-time trying to juggle everything that makes life beautiful and sometimes frustrating and ugly so naturally I will talk about mommy things. But I will never post anything that I would not want her to read or that she may look back on and find offensive. I have to remember this is her story too. Since my last semester ended, I’ve been able to sneak in some leisure reading again and I’ve been flying through the books. I recently renewed my love for the public library. There is nothing like spending a quiet morning at the library and pulling a book off the shelf to take home with you. Or, more realistically, going to their webpage and searching for the book, putting it on hold at which point they email you to come pick it up when it’s ready. Same thing, right? Going to the library was a big part of my childhood and I remember it fondly. I loved bringing my tote with me and surrounding myself with books, picking the very best ones to take home with me. I want to share that same love and enthusiasm for reading with Natalie. And speaking of which (and slightly off topic) I brought Natalie to her first story time this past Monday. She was the smallest there but she was having so much fun squealing and watching all the bigger kids. It was so adorable to watch. I have to talk about this series of books I’ve been reading because I just can’t put them down! I’ve read the first five in about a month. 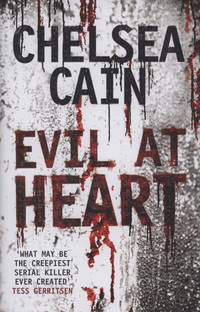 A girlfriend from work introduced me to Chelsea Cain, she’s a New York Times best selling author and noted for her thriller detective novels that follow Gretchen Lowell (a dangerously beautiful serial killer) and Archie Sheridan (the damaged detective). 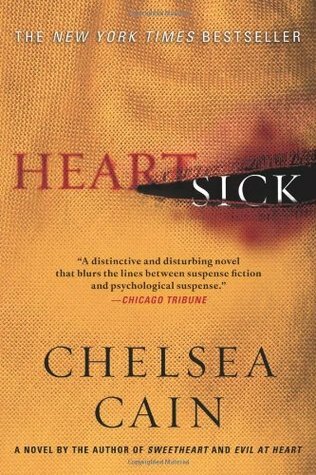 Heartsick is the first book and introduces the readers to Gretchen and Archie. Gretchen has been killing for 10 years and Archie has been hunting her, not knowing she’s been right under his nose until he becomes one of her victims. Gretchen loves to torture her victims for days before she kills them, but not Archie. She tortures him for 10 days until for, some reason, she lets him go. She then turns herself in and while she is in prison, Archie struggles to regain the life he once led. Addicted to pain killers and completely powerless when it comes to Gretchen and the 10 days he spent with her, he’s a completely different person (but who wouldn’t be). Archie continues to visit Gretchen in prison in order to get her to name all of her victims. Meanwhile another killer begins snatching teenage girls off the street and Archie struggles to pull himself together in order to lead the task force investigating the murders. 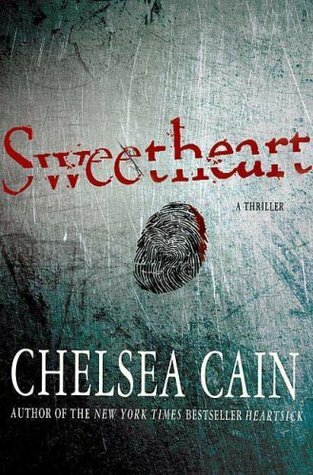 In this book, Cain introduces us to Susan Ward, a young hungry journalist in charge of writing a story on Archie and who also begins following him around. She’s one of my favorite characters with her crazy changing hair colors and her naïve tough girl attitude. I could not put this book down and because I loved it so much, I read the next four back to back. I just finished The Night Season over the weekend so I put a request for Let Me Go, the sixth book, but I’m still waiting for it. 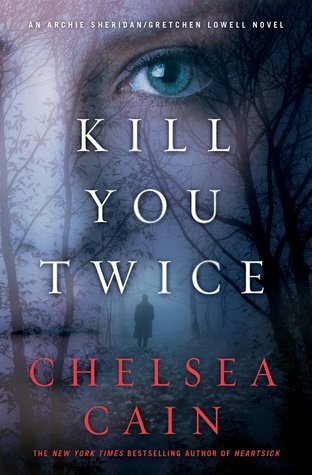 Kill You Twice was my absolute favorite so far so I’m really anxious to read the next one and find out where Cain takes Gretchen and Archie. Hopefully I can hold out before I order it for my Kindle…the suspense is killing me! 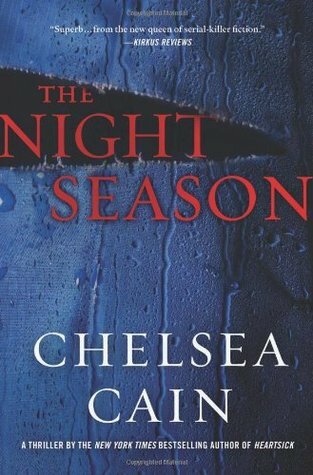 If you like a good thriller, then definitely check out this series. You can also find out what I’m reading over on goodreads.com. Who has piles of laundry scattered all over their bedroom, patiently waiting to be folded and put away but you just never have the time to deal with it? ::raises hand:: ME ME ME! I am a new mom to a beautiful 8 month baby girl. And I work full time in the city of Boston. I’m also a student part-time because I simply love torturing myself. My world is busy, sometimes a little chaotic and full of laundry piles. I really hate laundry. 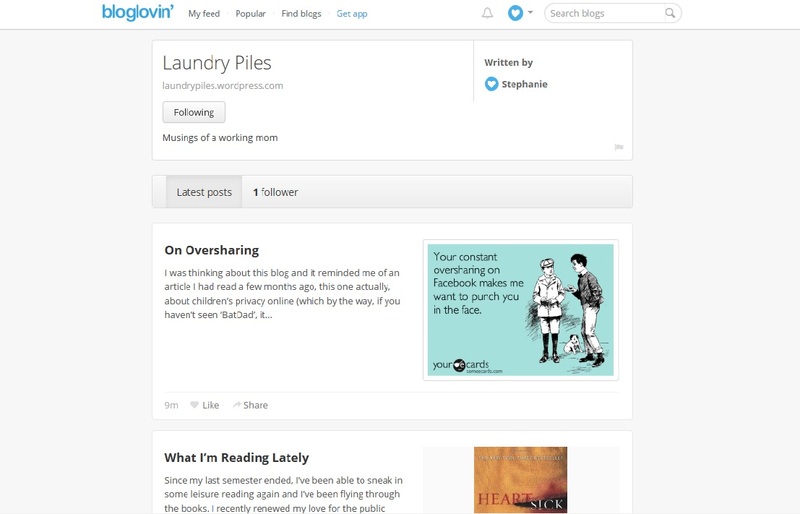 Laundry Piles is my corner of the internet where I can share what it’s like to be a working mom full of ideas, goals, dreams, and everything in between.